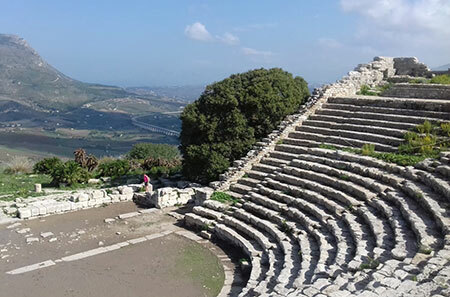 I have recently returned from a work trip to Sicily with Prestige holidays, Prestige holidays were fantastic, looked after us from start to finish. We had a short 3 hour flight from Manchester into Catania airport. Our first destination was Cefalo, on approach the Medieval town is beautiful ,it has recently been designated as UNESCO site. 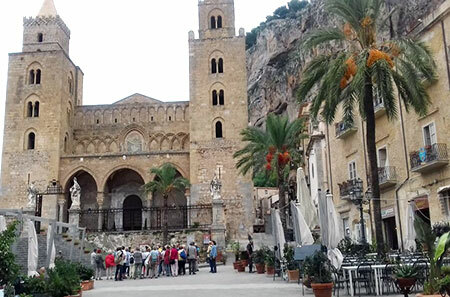 Cefalu is located on the north coast and has a beautiful Norman cathedral, we stopped and had coffee in one of many café’s that are in the main piazza. There is a long sandy beach and the majority of hotels, shops, bars and restaurants are located behind the beach. It was very peaceful here and easy to get around on foot. Cefalu is stunningly beautiful. We stayed in the hotel Alberi Del Paradiso this was an elegant boutique hotel situated above the picturesque town, the hotel has a warm and welcoming feel to it. We then travelled about an hour east to Palermo this is a very vibrant city it has great architecture and culture. It would make a perfect city break for a few nights or part of a multi-centre holiday, there is lots to do here numerous bars restaurants the food is amazing everything we ate was fabulous especially the ice-cream. The roads were especially busy so I would definitely not recommend car hire in Palermo. We then travelled on to my favourite resort Taormina, we stayed in the Belmond Villa Sant’Andrea .It is a fabulous 5 star hotel that is situated right on the beach in Taormina Mare, we had a junior suit that was beautiful.The hotel has 71 bedrooms and suits facilities include safe, bathrobes and slippers and complimentary WI FI. The restaurant has the most magical spot overlooking the lovely bay. The hotel has a beauty centre and a heated infinity pool. The food again is amazing I would definitely recommend this hotel. Taormina is Sicily’s premier resort it is perched high on the mountain and you can easily get around on foot as car parking is very limited and can be expensive. 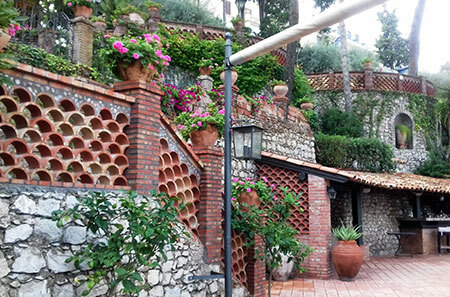 There is a cable car that takes you from Taormina Mare up the cliff side to Taormina.The enchanting town has superb choice of romantic restaurants bars and café’s, there is an array of boutiques and shops. In the centre there is a beautiful Greek amphitheatre that looks out over Etna, the resort comes to life at night its beautiful. Sicily is the biggest Mediterranean island it is very green and full of history dating 400 years BC. 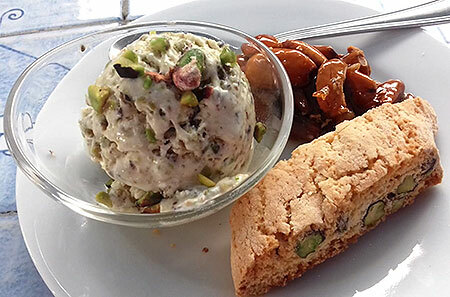 The food is some of the best I have ever tasted I would recommend Sicily it is a wonderful Island.